Connection Coloring lets you immediately know to which server and database you're connected to. 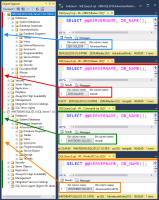 The color strip can be docked to any side of the window and its color can be easily changed from either its context menu or from Window connection coloring options. Since version 4.9.5.0 you can also set a one-off color in the color strip's context menu that is forgotten when the window is closed. 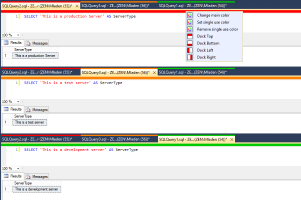 In SSMS 2012 and higher the actual query window tab is also colored at the top border with the same color as the already existing strip making it much easier to visually see to which server your query window is connected to even when a window is not focused. 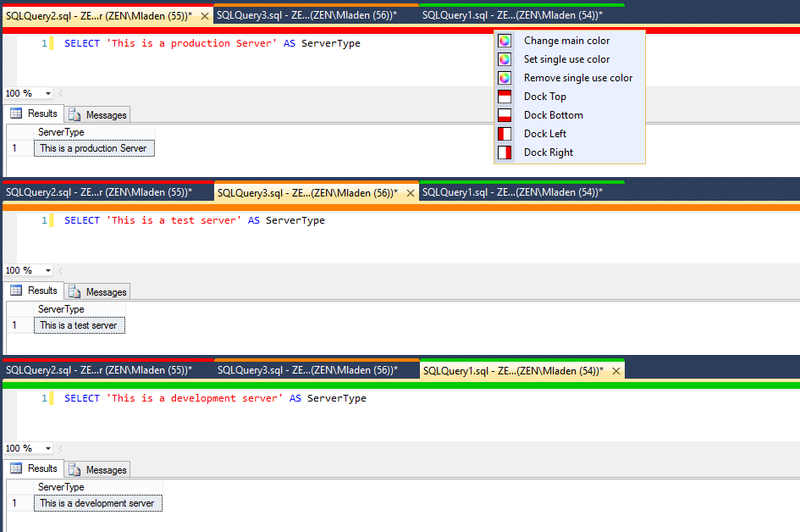 Since version 4.5 you can also enable server/database coloring in the Object Explorer. 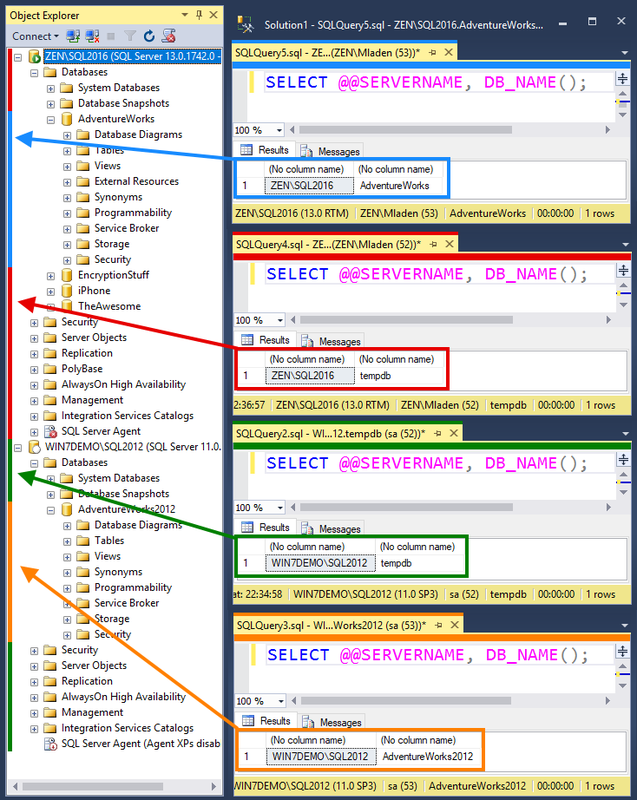 This way you can immediately see if the server you're looking at in Object Explorer is a critical one or not. Coloring for each server or database can be added, removed or just disabled. In version 1.9 the server name as a regular expression has been added. This makes managing a lot of servers easier. For example if you have 100 servers named like PROD_***, DEV_***, TEST_*** you can now write a regular expression that replaces 100 lines in the server grid with just 3 lines. Any .Net regular expression is valid. To add a new server or database name, just add a row to the server names grid. From version 3.8 a custom text can be added in Options to show in the identifying color bar if it's positioned at the top or the bottom.